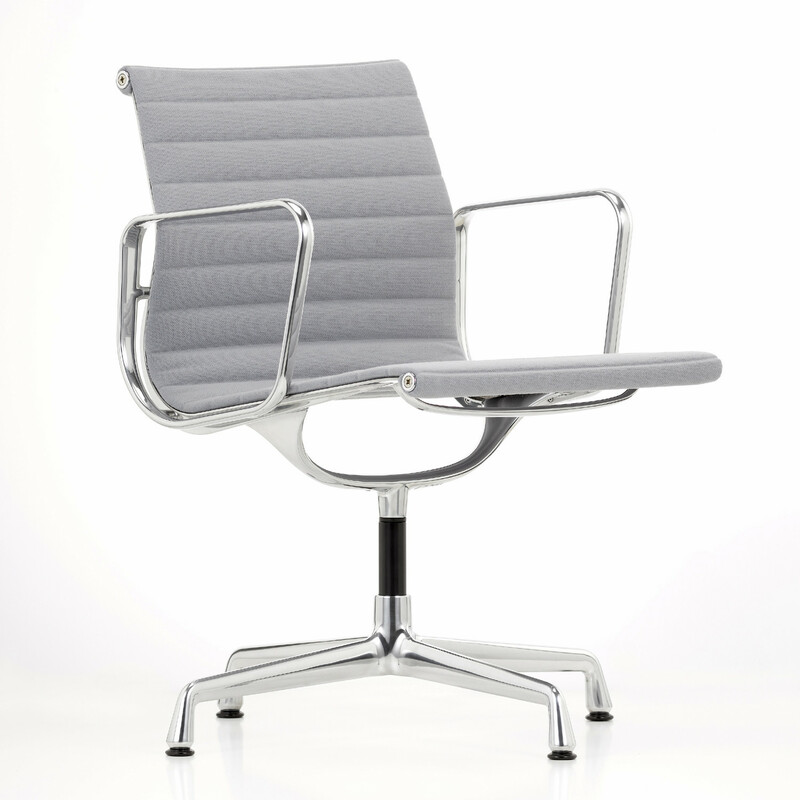 Eames Aluminium Group Chair was first introduced in 1958 and are rated the most famous pieces of furniture by Charles & Ray Eames. 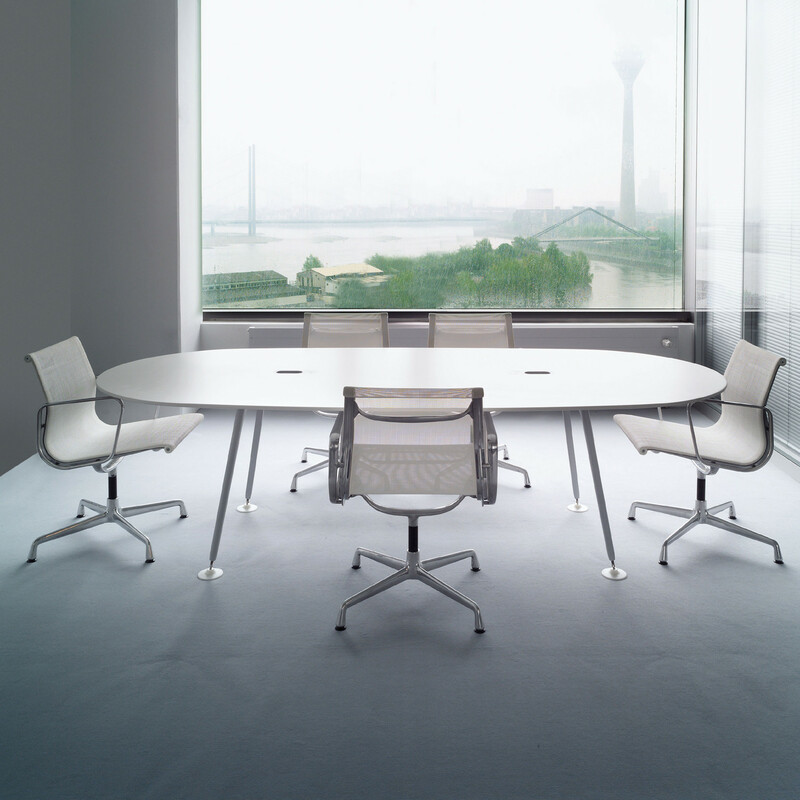 Originally known as the Aluminium Group Chairs, they were developed as a special project for a private residence being designed by Eero Saarinen and Alexander Girard. 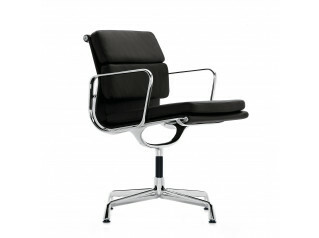 Eames Aluminium Group Chair EA 105 is a non-swivel aluminium chair without armrests, while the Eames Aluminium Group Chair EA108 features armrests, on a four star polished base, with fixed seat height available in either leather or Hopsak upholstery, in a variety of colours. 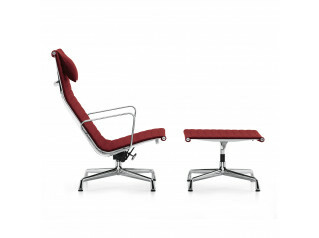 An important characteristic of the Eames Chair is the intelligent combination of materials. It has a clear, transparent form and its construction is clearly visible. 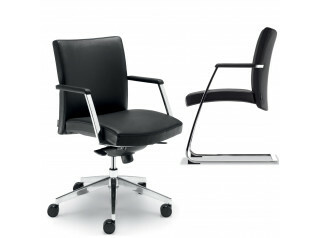 Aluminium sections lend the chair both stability and lightness. 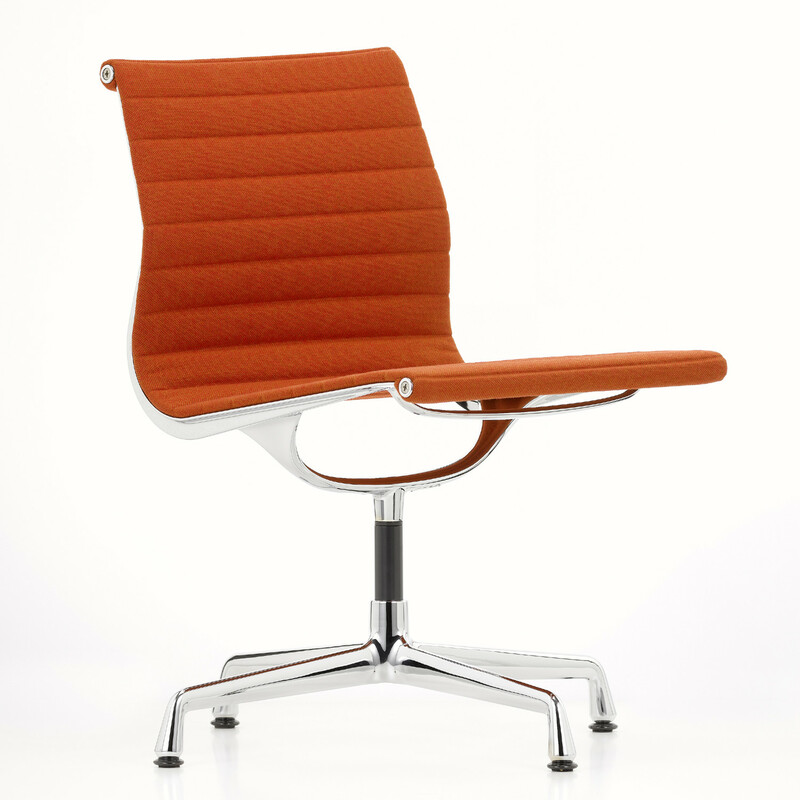 The material is fixed into the side sections, yet fitted loosely so that it follows the line of the body and is comfortable without requiring extensive upholstery. 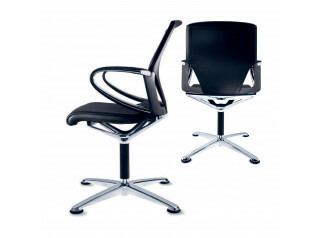 This material is not a cover but an integral part of the design. 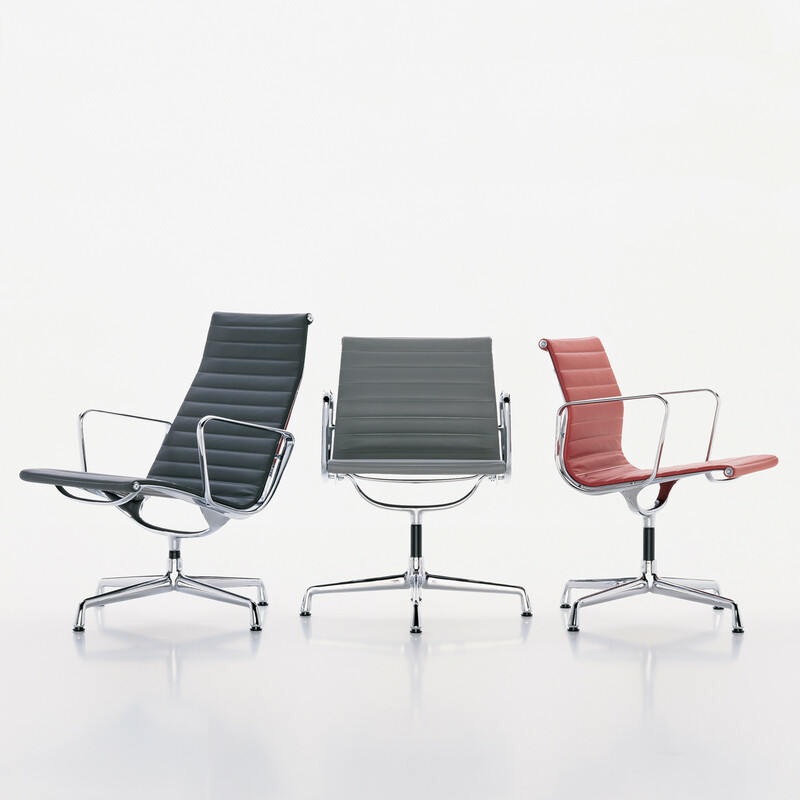 The seat-back suspension was a new technical achievement and was a departure from the concept of the Eames chair as a solid shell originally. 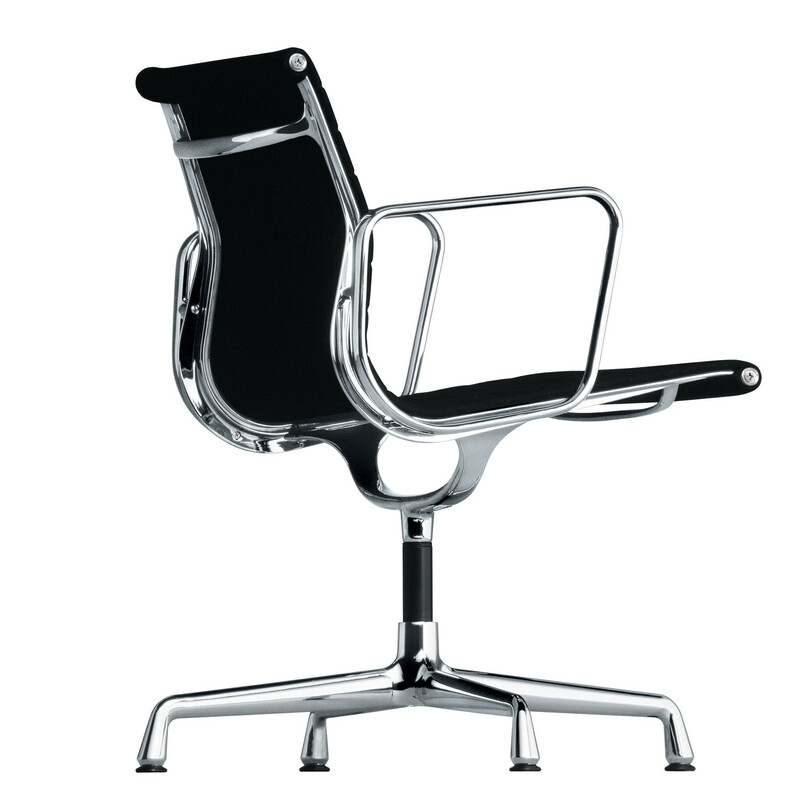 The Eames chair explored the newly affordable aluminium on the market at the time of development. The end result was a lightweight, corrosion-resistant and die-cast frame. 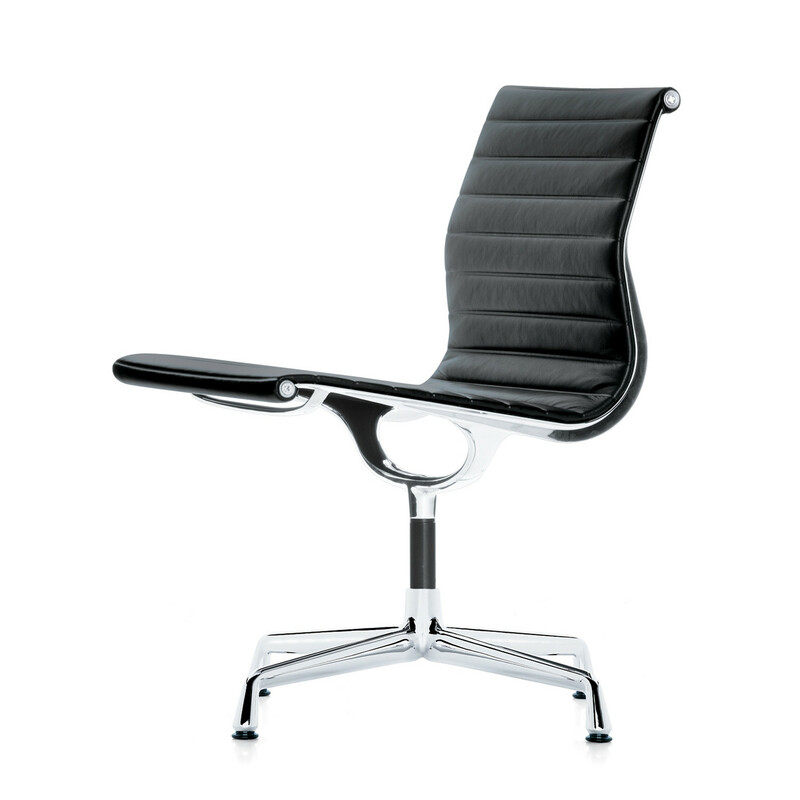 Eames chairs make ideal seating solutions in management offices, executive boardrooms and conference situations. 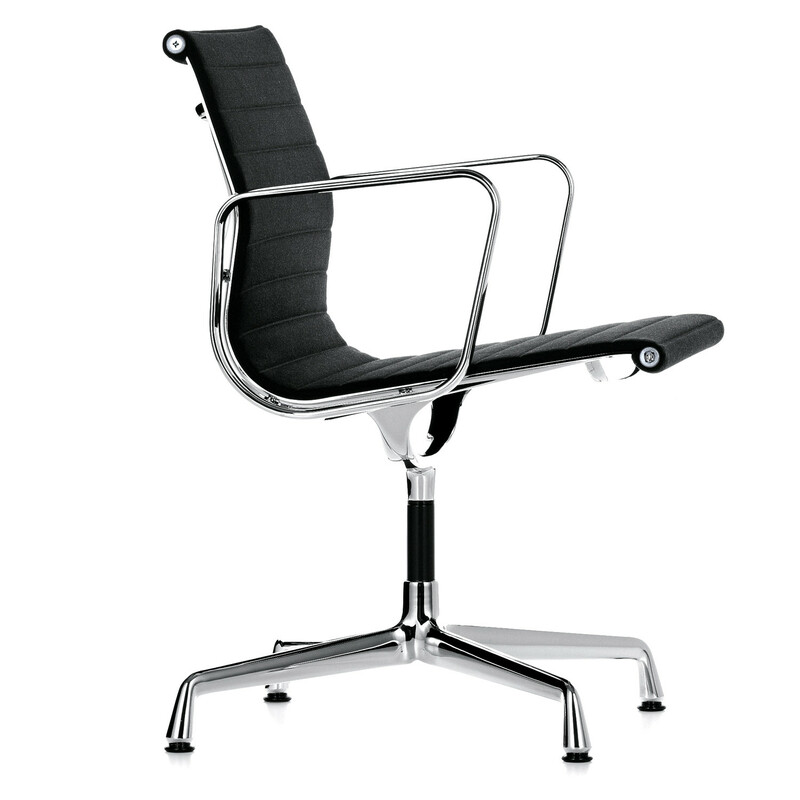 You are requesting a price for the "Eames Aluminium Group Chairs"
To create a new project and add "Eames Aluminium Group Chairs" to it please click the button below. 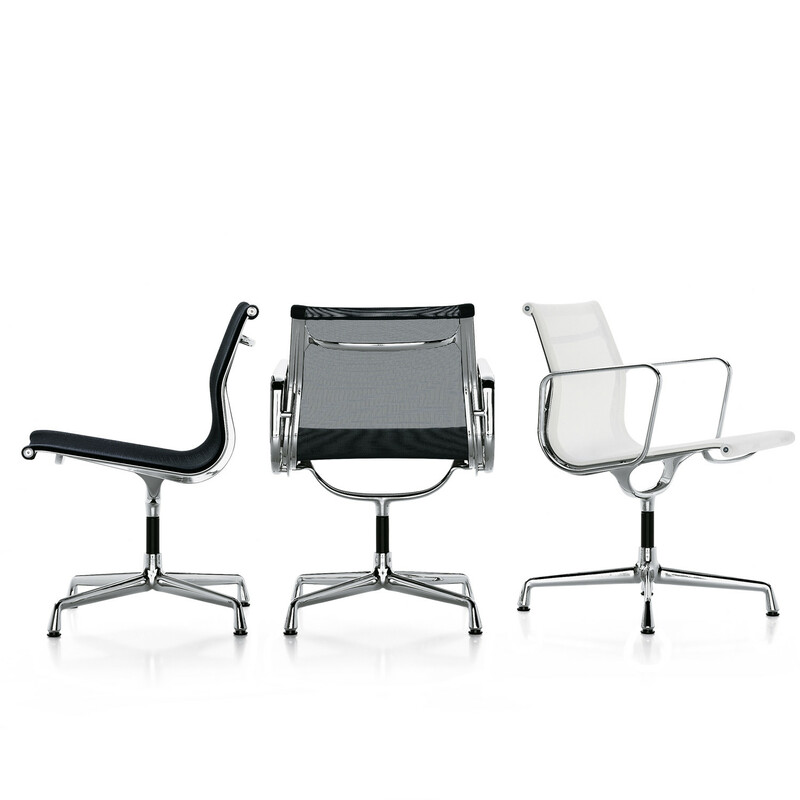 To add "Eames Aluminium Group Chairs" to an existing project please select below.